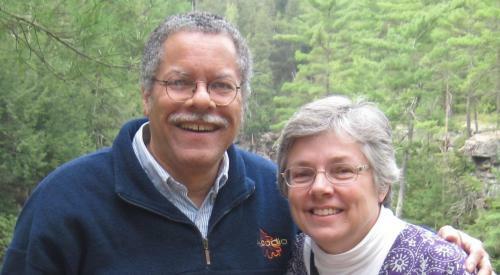 Paul and Mary Liz Stewart, co-founders of Underground Railroad History Project will address the Albany Roundtable luncheon on Wednesday, February 11 at the National Register-listed University Club, 141 Washington Avenue at Dove Street in Albany. The Stewarts will present A New Interpretation of an Old Story: the Underground Railroad, Its Relevance for Today, and Its Relationship with Underground Railroad History Project, which will focus on African American leadership, civil disobedience and documentation of the real Underground Railroad Movement of the antebellum period, its relevance for today, and its relationship to the work of Underground Railroad History Project of the Capital Region, Inc. Since its incorporation in 2003, Underground Railroad History Project of the Capital Region, Inc. promotes and encourages knowledge and understanding of the Underground Railroad Movement and its genesis and legacy in the Capital Region and in New York State, and as a significant element of the history of the United States; encourages historical research on the Underground Railroad Movement in the Capital Region, in New York, and in the United States; gathers, preserves, displays, and makes available for study artifacts, relics, books, manuscripts, papers, photographs, and other records and materials relating to the history of the Underground Railroad Movement in the Capital Region and New York State; and places the Underground Railroad movement in its proper context as the first civil rights movement, and as part of the ongoing struggle for equity, freedom, and justice.